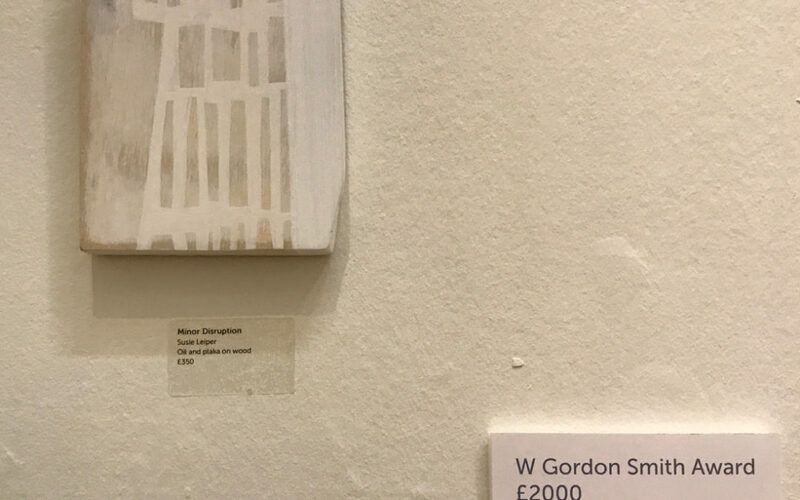 I am shocked and delighted to have been awarded a share of one of the inaugural W Gordon Smith and Mrs Jay Gordon Smith awards at OPEN 2018: SSA + VAS together at the RSA in Edinburgh for this small work, Minor Disruption. The larger work, Architecture of Disruption, was described by Duncan Macmillan in The Scotsman as ‘an austerely beautiful abstract composition in muted colours’. The exhibition continues until Thursday 8 March, daily 10 – 5.